PRESENTING: THE AMAZING CAPTAIN MARVEL! Hello, all! I’m Sarah Eldahan, and I’m usually writing for the Gaming and Food side of Cairo Contra… but today I’m doing something different. 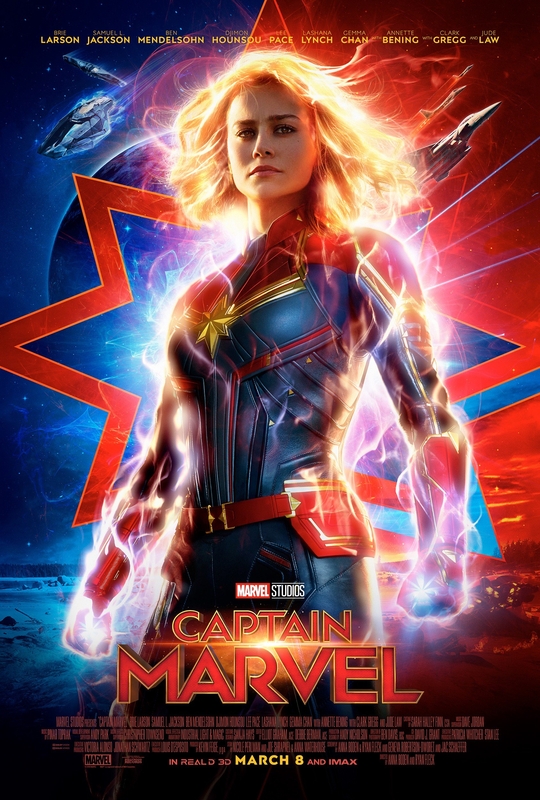 I’ve always loved the Marvel superhero movies ever since the first time they came out, and now there’s a movie that I’m super excited about: Captain Marvel! It occurred to me, though, from talking to my friends that most people don’t know anything about Captain Marvel, one of the most beloved characters in the Marvel universe. So, I took it upon myself to get you all set up right before the movie airs. Here’s everything you need Captain Marvel! Way, way, waaaaaaay back in the 1960s, a super hero was newly introduced to the Marvel universe: Captain Mar Vell, an alien Kree from another world. Yes, Carol Danvers is not the first Captain Marvel. This alien assumes the identity of a human who had died, and went to work in his place at a space station. No one doubts that he is anyone except who he says he is – no one except the new security chief, Carol Danvers. After a damaged alien machine rewrote her DNA to make her a human/Kree hybrid with abilities similar to Mar Vell (What? Haven’t you ever had your DNA rewritten before?) Carol Danvers starred in her very own comic, under the name of Ms Marvel. I didn’t have a lot of hope for a comic about a girl from the sixties who wasn’t even the first with this name, but I was pleasantly surprised to find that the comic is actually really good – it’s respectful, filled with good strong female characters, and great fun all around. A great start! Carol Danvers hasn’t had just one name over the years, but has frequently changed with the changes in her super hero career. She started as Ms Marvel, of course, and joined the Avengers. She went by the name Binary when she became a cosmically powered mutate and went traveling around space. Girl needed a hobby. When she lost her special Binary powers to save the sun and went back to the way she was, she rejoined the Avengers and adopted the name Warbird. Later, Mar Vell ended up dying, and Carol took the name Captain Marvel to honour him. It’s been her name ever since, and it’s the one she’s most well known for. Are you going to see Captain Marvel? What do you think about the differences between the comic and the movie? I’d love to hear from you in the comments section! An Intro to Indian Food: So What is Indian Food Anyways? I'm just a college student trying to survive life in Cairo. When not doing college work, I can be found trying to understand web design, watching writing-advice videos, and reading fanfiction (it's my guilty pleasure, shhhh). I prefer staring at walls to studying, which makes student life predictably hard. I'll be writing for the Food and Gaming sections, so be sure to check that out! Other than that, I'm loud, funny, and, when there's nothing better to do, 100% daydreaming. The 7th Art: French, Blue haired and called Zucchini… An Inspiring Piece of Art!! !